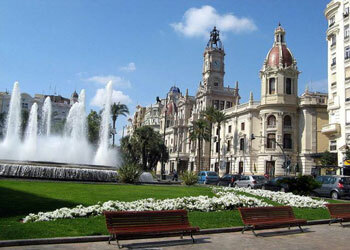 Meet your private driver at your ship and start a panoramic tour of Valencia. See the City of Arts and Sciences, the Oceanographic and the beautiful Opera House, designed by Santiago Calatrava, which houses one of the most important artistic and cultural centers worldwide. Walk through the city center and visit all the main landmarks like the Central Market, the Plaza Redonda, the Plaza de la Reina, and other monuments like the Cathedral, the Basilica, and the Silk Exchange building, (a UNESCO World Heritage site). 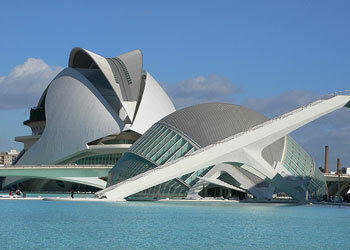 Greet your driver at the Port of Valencia and head to Valencia’s futuristic City of Arts and Sciences. This stunning futuristic architectural complex, is completely surrounded by landscaped gardens and water. Visit the Plácido Domingo Perfection Centre, which is the main premises of one of the best lyric artists training centers. Next, explore Valencia’s pretty streets of the old town at the iconic Modernist and Moorish architecture you find. Take in top attractions including the Central Market, the Lady of the Forsaken Basilica and Valencia Cathedral. The futuristic City of Art and Sciences contains four very modern buildings: Museo de las Ciencias, an interactive science museum, L' Oceanographic, a large aquarium, L'Hemisferic, a laser planetarium and Palau de les Arts, an impressive Opera house. Situated between the port and the city center. 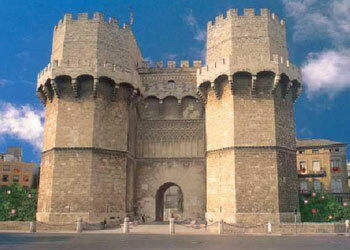 The impressive 14th century Serranos Towers were the main gateway through the old city walls. The top parapet affords excellent views over the city center and beyond. By the Towers runs the course of the Turia river (dried up since a water diversion scheme). The old river bed is now an extensive green space, encircling the city center, perfect for an enjoyable stroll.